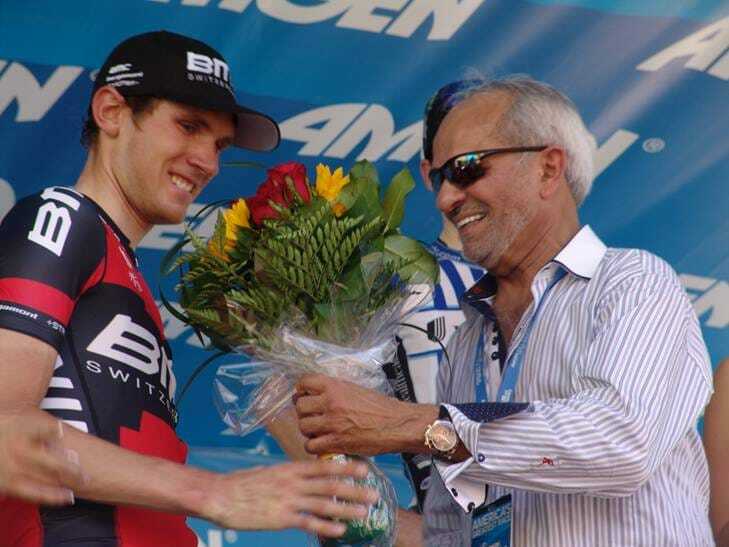 American cyclist Tejay van Garderen garnered a runner-up finish during Stage 2 of the Amgen Tour of California, a 124-mile bike race featuring more than 100 cyclists that finished with a climb up Tram Way in Palm Springs in sweltering triple-digit heat May 13. The Coachella Valley became part of the Amgen Tour for the first time in its eight-year history, which included creating a new south-to-north route. Amgen competitors began Stage 2 in Murrieta before winding their way through the desert cities and an eventual ascent to the top of Tramway Road. The eighth and final stage is May 19, starting in San Francicso and finishing 80 miles later in downtown Santa Rose. The stage will be televised on NBC Sports. For more on the event, visit the Amgen Tour of California website.